Well I'm happy to report that I'm still using CrashPlan for backing up servers at my company as well as laptops. Now that I'm a remote employee though, I wanted to be able to not only backup to my company's storage in California, I wanted to backup locally to my NAS at home for faster recovery should I need it. The problem with the free version of CrashPlan is that it won't let you select a network share as a backup destination. 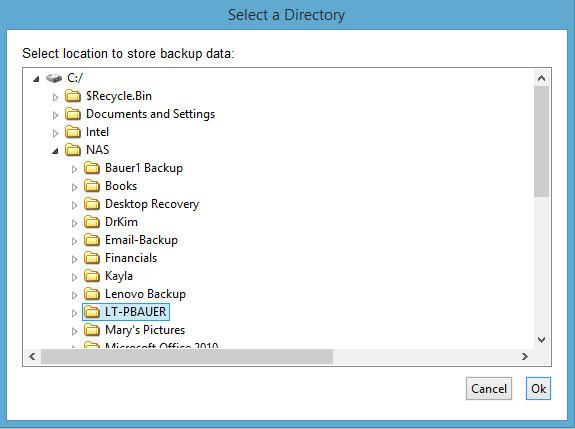 It will however let you backup to a local folder on your C: drive. To get around that, I decided that I had to mount my NAS's network share as a folder on my C: drive which I wrote about yesterday. Once you have your network share mounted to a local folder, CrashPlan will see the contents of your network share as a local folder and you can backup to it! That's it! Super simple right? Do you use CrashPlan? Do you like it? If you don't use CrashPlan, do you use another cloud backup solution? Let us know in the comments!